Edifier R1700BT Bluetooth bookshelf speakers will have you wanting to play every device off them. Plug in your gaming console, computer or TV for exceptional sound quality. The multifunctional excellence that illuminates from these Bluetooth bookshelf speakers delivers such clear entertainment value. The R1700BT has built in Digital Signal Processing (DSP) and Dynamic Range Control (DRC) to prevent distortion; Hi-tech bookshelf speakers truly fit for your listening experience. 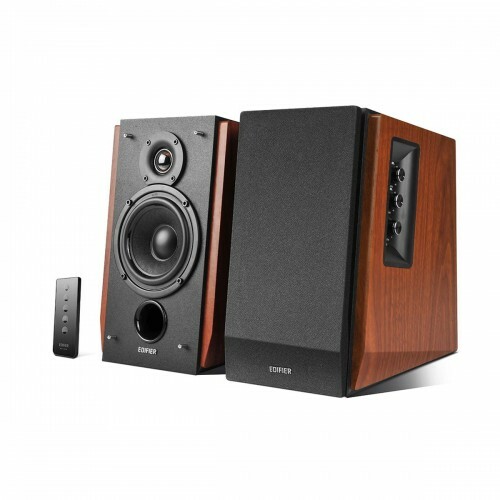 The R1700BT Bluetooth bookshelf speakers allow for clean aesthetics without losing quality or performance. It brings new meaning to clear sound. Fashioned with a 10-degree angle to direct the sound exactly at you, it creates a better listening experience as it reduces interference. 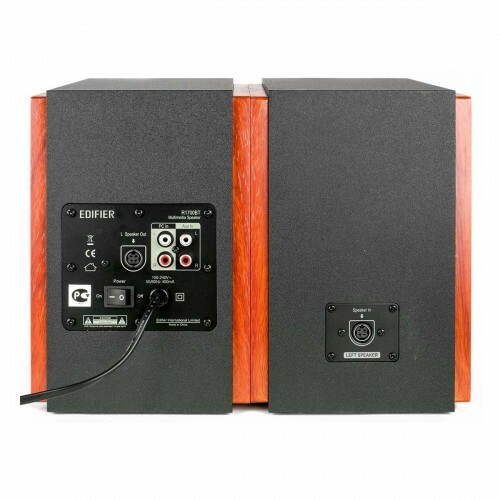 This speaker 4-inch bass drivers in each speaker create rich lows and clear highs. With the front facing bass reflex port, low frequencies are emphasised giving the bass more power. Pair your smartphone to the chic bookshelf speaker through Bluetooth. With a touch of a button.